The revolutionary scalp massaging brush effective in the fight against Cradle Cap. It’s a soft, safe, soothing way to successfully deal with the flakes and crustiness associated with Cradle Cap. 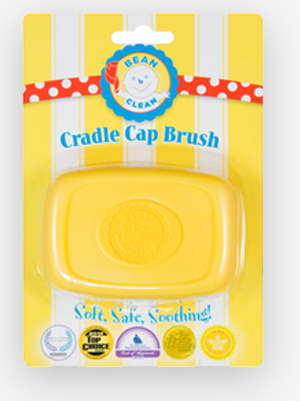 It’s the ORIGINAL reusable brush developed for Cradle Cap! If your baby’s scalp has dry, flaky skin that looks like dandruff, or even thick, yellowish or brownish, oily, scaly or crusty patches on his or her scalp, it’s more than likely Cradle Cap (seborrheic dermatitis). It can be unsightly and embarrassing, but it’s a common problem that afflicts many babies. Our product, the Bean-b-Clean®, is a revolutionary scalp massaging brush that’s a safe, soft and soothing tool, especially effective in the fight against Cradle Cap, when used daily as directed. It takes the place of the brushes used in hospitals with the sponges on the back. Those are meant for one-time use because the sponge can become a breeding ground for bacteria and if the sponge is removed, the brush is too pliable to get a good grip for effective results. Our Bean-b-Clean® can’t just be a great seller. It has to be good enough to use on the most precious babies in the world — our grandkids! That’s why we created a high-quality, reusable brush. It has no harmful ingredients so it can be used safely, with confidence. My 4 month old daughter’s cradle cap was severe. After using this brush once a day with baby shampoo for 2 weeks, the cradle cap has cleared up completely. I highly recommend this product. Great addition for gift baskets! 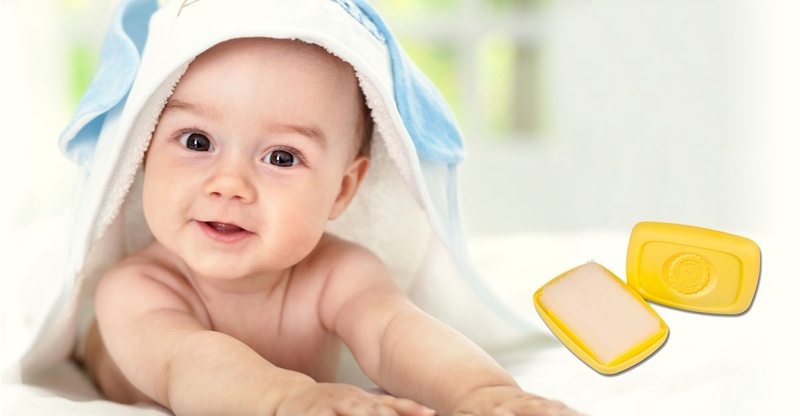 Smaldore Associates, LLC, was formed as a wholesale company in early 2009, as the result of the birth of our first grandchild who developed cradle cap. 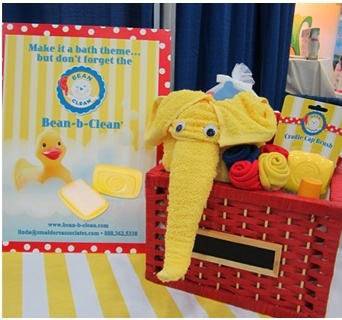 After extensive and unsuccessful searches in stores and on the internet, we researched, repurposed, tweaked and tested an existing product as our first mission and brought the now named Bean-b-Clean® to the thousands of infants facing the same crisis. We are a “mom and pop” company, rather, a “grandmom and grandpop” company whose goals are to provide needed, functional products at affordable prices. We hope to sell our product to any retailer who shares our criteria for easing at least one of the tensions shared by parents of newborns and getting what is best for babies into their primary caretaker’s hands, at a very reasonable price. ©2019 Smaldore Associates. All rights reserved.